From 1st December 2017, all service pipe coils in diameter 20 to 63 mm will be sold in pack quantities. 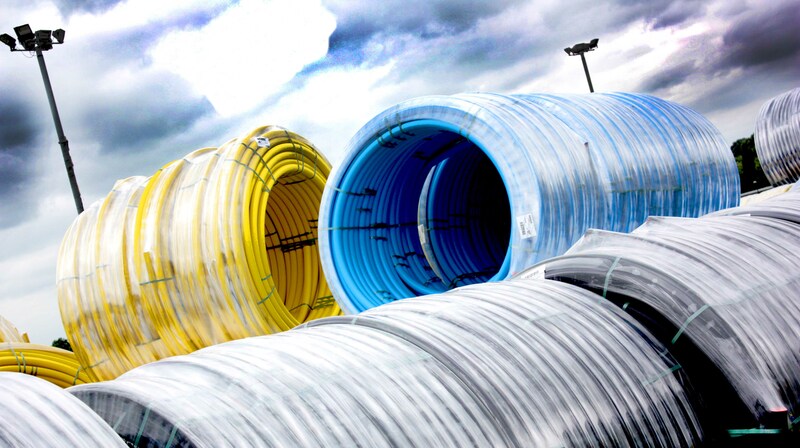 The products affected are PE80 yellow, PE100 orange pipe coils for gas applications, PE80 light blue pipe coils for potable water applications and our range of black PE100 universal pipe coils (see pack quantity table within the PDF document). The pipe coils will remain individually packaged in either 25, 50, 100, 150 or 250 m coils and will be bundled together in packs, which will allow Radius Systems to deliver an optimum number of coils in fewer loads to meet our customers’ delivery requirements. This initiative will also minimise storage space, make the packs easier to transport and handle as well as maximising load capabilities. For more information on this change, please contact your Regional Sales Manager or our Customer Services team on e: sales@radius-systems.com or t: +44(0)1773 811112.